Warsaw Open Device Lab is established to help the local developer community to be able to test their work on a range of mobile devices. If you're building a responsive website or mobile game and want it to work correctly on the popular devices, then you need to test it yourself. Instead of trying to collect all the devices on your own you can visit the local Open Device Lab and use the available resources for testing. Don't worry about owning the proper devices and just focus on the most important part of your work which is development. Open Device Labs are a grass roots community movement. They establish shared community pools of internet connected devices for testing purposes of web and app developers. In result, ODLs lead to an ultimate improvement of the web and app experience both for developers and for consumers. This device lab started with a focus on Firefox OS and is the largest such device collection in Poland, but we're open for any system or platform. Along with the availability of the devices to test your web apps and games on them, you can also find support and knowledge from the developers building their applications. Feel free to get in touch if you have any questions or issues. Feel free to get in touch if you need help setting up the device lab yourself or want to add the newly created one to the list above. Here is the detailed list of all the available devices in Warsaw. If you want to visit the place be sure to get in touch and let us know which devices are you interested in, so they can be fully charged and ready waiting for you. This device lab is looking for a place to settle down, but we can arrange a meeting in the current temporary location to test on the available devices. Get in touch via the social media on Twitter and Facebook or directly via email. Anyone can contribute and help the developer community by lending their old devices or sponsor the open device lab to make it grow. Give away your old, rusty devices laying around hidden in your drawer, so other developers can use them as the test devices. Spread the word about this site so more developers can learn about the whole idea and don't waste their own resources on the devices they need for testing. Let's create a well-known, friendly place available for the community to come by and use it when needed. Are you a manufacturer or other business? You want to promote your product to developers, ease your developer device seedings or just help move ODLs forward? 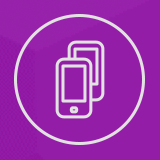 Are you an individual willing to donate some spare devices, funds or other love to an ODL? Please get in touch so we can talk about the details!